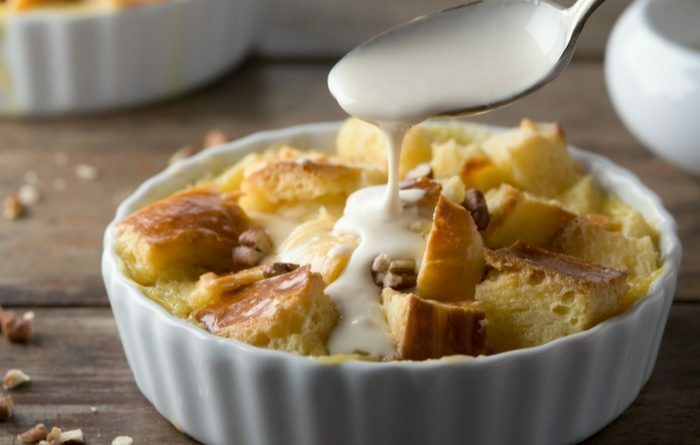 You really need to know how to make bread pudding! My sister, Carol, shared this recipe with me. 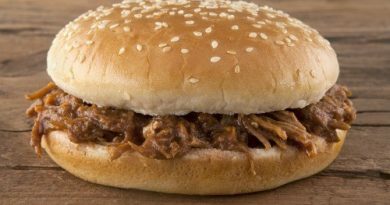 It’s moist, fluffy, crunchy and rich, all in one bite. She and her husband were at a restaurant and the chef actually shared his recipe. This chef mentioned you can use almost every bread, but the real secret to this recipe is the use of two croissants along with the other bread(s) used. Not three but two. We all have a few pieces of bread left over every week, right? 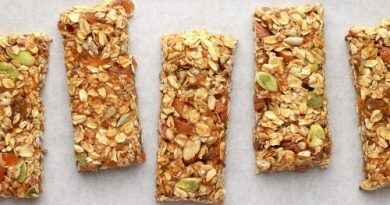 I store them in a bag in my freezer until I have the amount I need for the recipe. 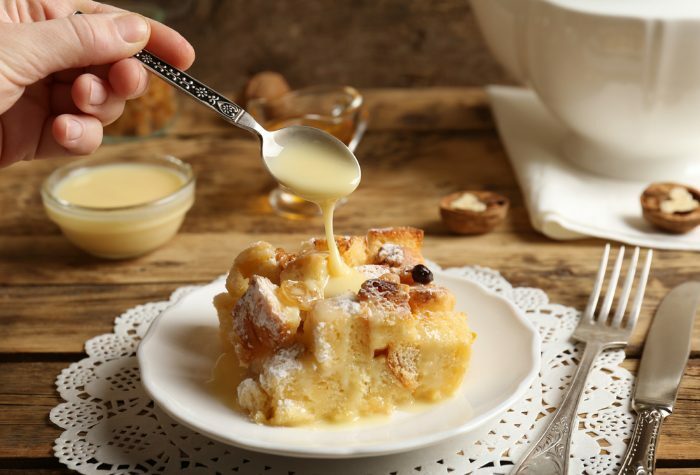 Do you like to put caramel or lemon sauce on your bread pudding, or do you prefer your’s plain? Place a dollop of ice cream or whipped cream on top and it looks and tastes fabulous! Not very many people know how to make bread pudding. I want to make this recipe and take it to our next family reunion. I love making unusual recipes that people might not make themselves. Do you like trying new dishes made by friends and family as much as I do? You can add just about every freeze-dried fruit, after reconstituting them, to this bread pudding recipe as well. Next time I will try pineapple, pears, mango, or some other delicious fruit. Just think of all the possibilities. 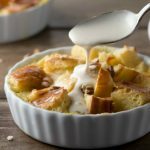 Even people with gluten issues can make this bread pudding recipe using their choice of gluten-free bread. What Bread Would Not Work? Some of these pieces of bread may work, but they may not taste that great in bread pudding. When Did Bread Pudding Originate? I did a little research to see when the term “bread pudding” originated. Food historians report it started in the 11th and 12th centuries. It was all about being frugal because the cooks in this time period didn’t want to be wasteful, so they turned the old and stale bread into this popular dish for the poor. In the 13th century, England called it comfort food and served it to the poor. I grew up thinking it was a fancy dessert. Well, it really was a poor man’s dessert. It’s interesting because it’s showing up in some pretty high scale restaurants, and it’s not cheap, just giving you the heads up. Here are the ingredients you will need to make this recipe. Bread pudding is basically layers of stale bread combined with cream and eggs. Talk about a decadent dessert! Can I say it has to be comfort food as well, right? Preheat oven to 325 degrees. Mix together the eggs and sugar. Add the cream, vanilla, and cinnamon. Combine the remaining ingredients in a large bowl and mix together. Don’t let it get soggy. Baking instructions: If using a 9 x 13-inch pan, bake at 325 degrees for 45 minutes; turn heat up to 450 degrees for 7 minutes to make the top crust crispy. If using large muffin tins, bake at 325 degrees for 20 minutes; turn heat up to 450 degrees for 5-7 minutes to make the top crust crispy. Serve with ice cream or whipped cream. Drizzle with caramel or lemon sauce, if desired. Our family is dairy free. Could I substitute coconut milk or cream? The bread pudding I grew up making never had fruit baked in it. We sometimes made a sauce with fruit to put over the top but mostly just the bread pudding with fresh cream. I was lactose intolerant and that didn’t work for me (the fresh not the cream in the pudding once it was cooked). So, I didn’t like the bread pudding unless I had fruit to put over the top. I don’t have as much of an issue with intolerance now unless I eat dairy too often. This is not something I would likely make for myself but might for a church leadership meeting!